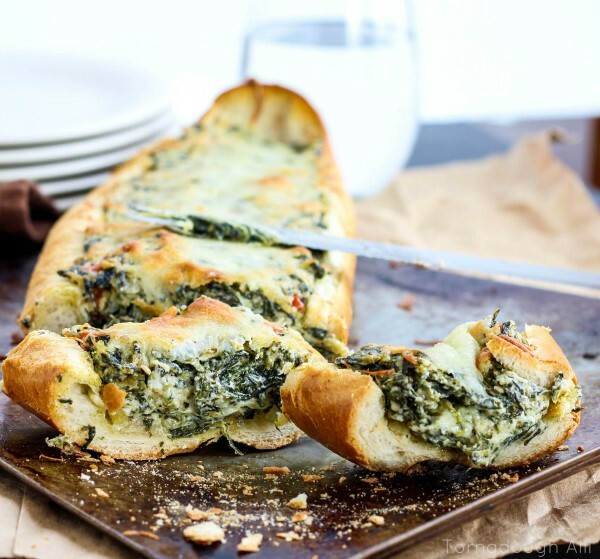 A delicious creamy Spinach Dip stuffed inside of crispy french bread make this Spinach Dip Stuffed French Bread a perfect appetizer for any party! So like I’ve told you all before, we love hosting game nights. 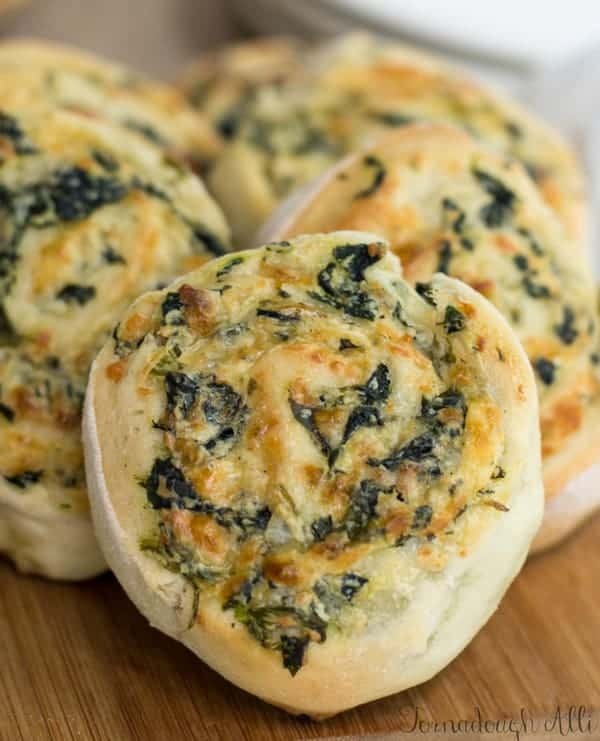 Well obviously since I love to cook, I usually whip up a bunch of appetizers to keep everyone satisfied all night….